Canales Family Agency announces a collaboration with Together We Rise to support the needs of children in the foster care system. They plan to direct raised funds toward the nonprofit’s Sweet Bags program, which provides kids with duffle bags filled with supplies, love and hope. It’s truly heartwarming to see the work being done by Together We Rise. We feel honored to aid in their mission, and have set a goal of $500, which will provide Sweet Bags for 16 children of our community. It’s the very least they deserve. Canales Family Agency has unveiled a new charity campaign in their ongoing community involvement program serving the families of greater Plano, TX. 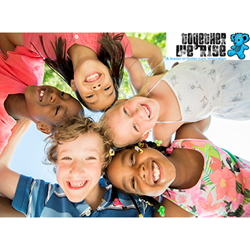 Nonprofit organization Together We Rise strives to improve the lives of foster children across America with innovative programs. Compassionate community members may now contribute here: http://www.togetherwerise.org/fundraise/canalesfamily. Together We Rise (TWR) was founded in 2008 by college students after discovering that one of their classmates had a 9-year-old cousin living out of a car. TWR was born out of encouragement from friends to use their vision to make a difference in the world, and to date, they have helped over 60,000 children in the foster care system. Through collaboration with community partners, TWR brings a myriad of resources to foster youth. Their Sweet Bags program replaces the standard two garbage bags given to foster children to carry their possessions with duffle bags filled to the brim with teddy bears, hygiene kits and other necessities, showing the children they are loved and valued, and allowing them to reclaim dignity so that they may go confidently on to their futures. Utilizing its own resources and seeking the help of its vast network of customers and business partners, Canales Family Agency marches on to ensure customers, friends, family and neighbors are always in good hands. Social media and an email awareness campaign will be used to help the agency’s caring team to spread the word about the campaign for TWR. They have also featured the cause in their monthly magazine, Our Hometown, which is delivered to thousands of households in the Plano metro area. The electronic Flipbook version of the current issue may be viewed at: http://www.canalesfamilyagency.com/Our-Hometown-Magazine_46. Supporting their latest Community Cause has never been easier, as Canales Family Agency has pledged to donate $10 to TWR for each and every referral they receive for an insurance quote, with no purchase necessary. Readers who would like to view the campaign, recommend a friend and/or make a personal donation may do so here: http://www.canalesfamilyagency.com/Sweet-Cases-For-Foster-Children_9_community_cause. The agency just recently launched their master charity program, promising to choose a new local organization, family or person every two months to receive support. To learn about past campaigns and bookmark for future reference, please visit: http://www.canalesfamilyagency.com/community-cause. A full-service insurance firm serving families with integrity from offices in Plano, TX, Canales Family Agency is committed to bringing local people an agency which understands their needs. Cesar Canales and his team of dedicated professionals work with carriers to assemble a variety of products and services which will ensure their clients’ peace of mind. From all of the products a typical consumer needs (home, auto, boat, ATV, etc. ), to developing strategies to reach long-term financial goals, Canales Family Agency delivers consistently superior service. Their caring experts may be reached by calling 972-535-5166. Further information on the agency is available at http://www.canalesfamilyagency.com/.